I remember when I was in high school and super obsessed with hockey and of course, the cute hockey players. I always thought that maybe someday I’d be a famous girl-hockey player. A good friend of mine and I would go skating every weekend, trying to refine our skills for our big hockey debut. Well, I guess, in a way… here goes! There are all kinds of couples therapy groups and programs out there. We’ve decided to work on our relationship in a new kind of couples therapy way…. Since bo th my husband and four-year old son are both very much into hockey and skating these days, I thought… why not join in the fun and see if girls really ARE better than boys!? So, I’ve purchased the gear. Helmet – check. Shin guards – check. Elbow Pads – check. Hockey shorts – check. Hockey skates – check. Hockey Stick – check. Practice Jersey – check. Now, the sign up (for Drills and Skills) and we are on target for some good old, clean fun… on skates! 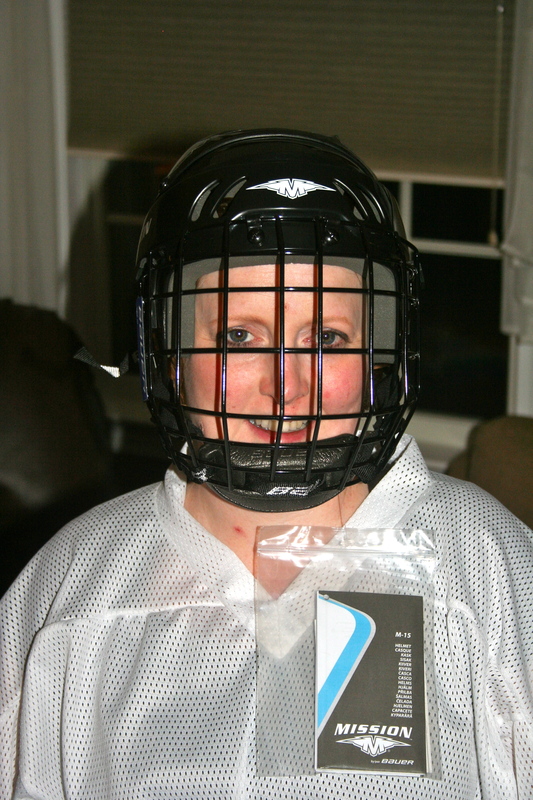 My sister and her fiancé along with me and M will be getting all of our aggression out on the ice, coming up in June. We will learn the fundamentals of hockey: skills, skating, stick handling, passing and shooting along with scrimmage games. Sounds like fun, eh (“eh” to be pronounced in a HUGE-Canadian way)? Who’s with me?? More to come on this topic… to be continued when this fun begins!